With so many options and numerous builders coming up in the real estate sector, it’s quite a tough task for the investors to decide what the best is for them. The new generation wants to invest in a place which is surrounded by peace and is new in terms of construction. Keeping all of this in mind, Ace Group has made some projects satisfying all of these conditions. Ace Platinum, Greater Noida offers ready to move in 2 and 3 BHK luxurious apartments inside a quiet surrounding making your life smoother and better. It is one of the best projects from the group which is made according to the current demand. With 2/3 BHK ready to move in apartments in the most premium location of Greater Noida, will keep you right in the centre and near everywhere you want to be. The project also provides a simple access between Noida and Delhi and gives you facilities like lifts, clubhouse and a modern security system. 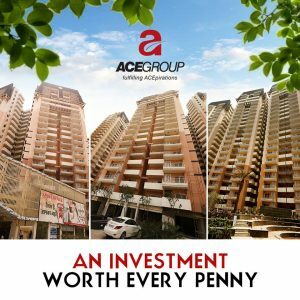 Ace Paltinum, Greater Noida surrounds you with freshness, luxury, comfort and peace. Its extravagance will leave you stunned and the comfort will make you stay home. It’s your chance to explore the entrancing way of life and the never experienced before lifestyle. The perfect amalgam of beauty and passion and in the wonderfully designed breathtaking apartments is a chance one should never miss.